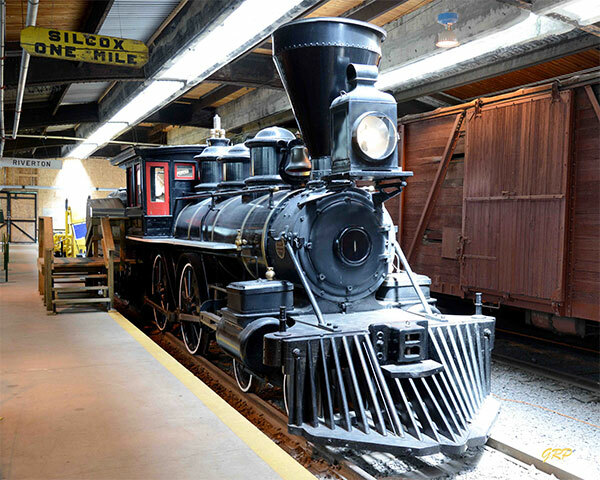 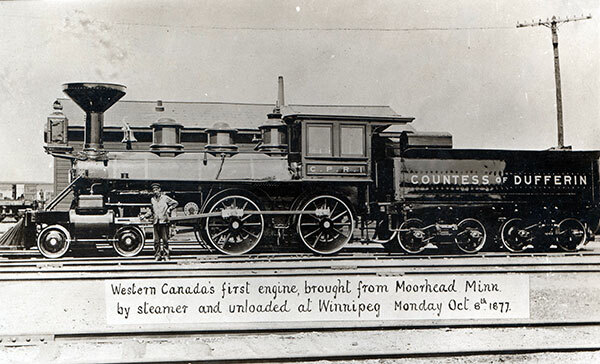 A large collection of items on an upper level of the Union Station in Winnipeg, including the Countess of Dufferin—the first steam locomotive on the Canadian prairies—illustrates the railway history of western Canada. 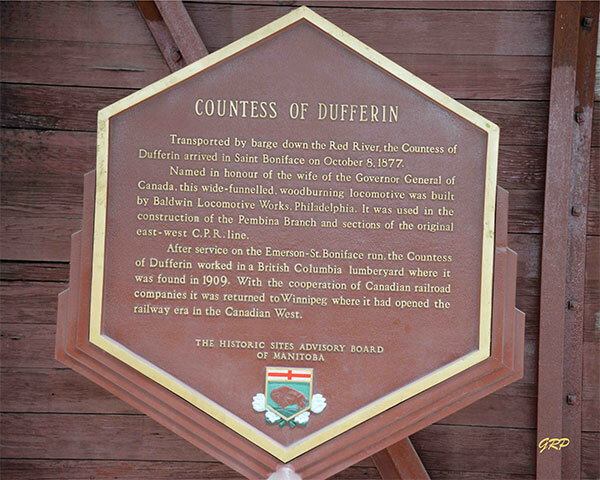 A plaque commemorating the historical significance of the Countess of Dufferin was provided by the Manitoba Heritage Council. 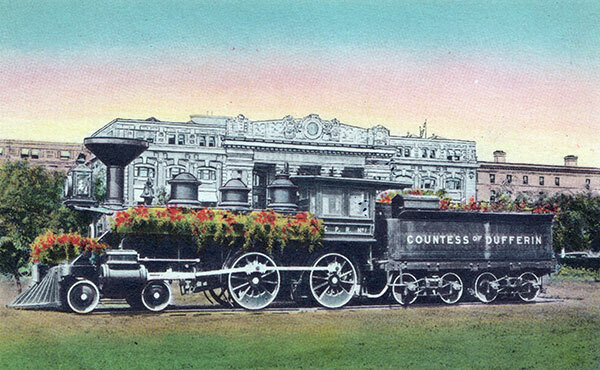 We thank Jason Vanderhill (Vancouver Postcard Club), Toronto Postcard Club, and George Penner for providing images of the Countess of Dufferin.